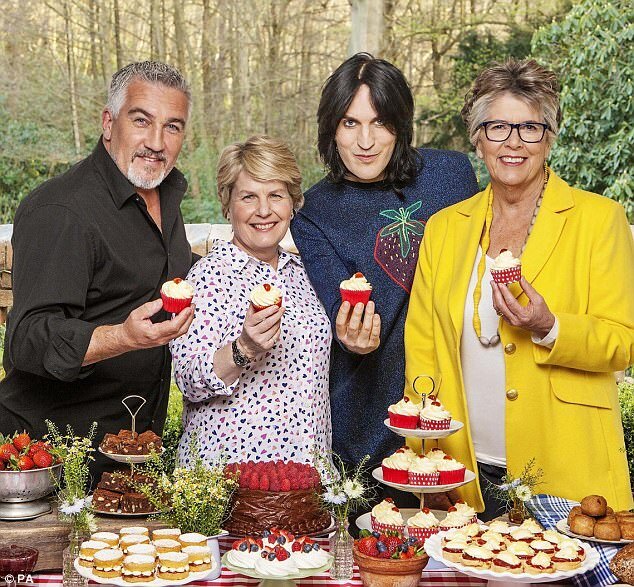 Prue Leith, as Anglophiles and food show fans would know, replaced Mary Berry as the co-judge with Paul Hollywood when the hit show The Great British Bake Off moved from the BBC to Channel 4 in 2016. There were wailing and gnashing of teeth when presenters Sue Perkins and Mel Giedroyc decided not to stay on, and frantic mutterings about what sort of judge Prue Leith would be. But as Series 8 got underway in 2017, the moans and groans and anguished tweets quieted down and all was well. Until she did a leak-tweet about the winner. Well, it was her first time on the show. So, has Ms Leith successfully filled Mary Berry’s shoes? Definitely. Prue Leith is as famous as food writer Mary Berry, CBE, aged 82. Prudence Margaret “Prue” Leith, also a CBE, born 18 February 1940, has been a restaurateur, caterer, television presenter, businesswoman, journalist, cookery writer and novelist. She was born in and raised in South Africa, and her working life has mostly been spent in the UK. She is Chancellor of Queen Margaret University, Edinburgh. She is Very Thoroughly British and sounds discreetly posh though she often dresses like a bohemian or flower child. And she has just published her 7th novel, The Prodigal Daughter, part two of a planned trilogy. Honestly, I wish Leith, despite her age and her moral scruples, and her stated disapproval of affairs, could’ve come up with something a bit more sensational than that. The character of Jane in particular is so flat and one-dimensional that she reminded me of the fat, lazy, vain and stupid woman who gets strangled in “Out” by Natsuo Kirino (2004) which as been described as “slow, relentless, and banal” – “banal” is a good word for most of the characters in The Prodigal Daughter. Is there a high point? Not so much. Suspense? Not really. The worst that happens is that one of the characters has a stroke and his wife and children take over the estate. Shall we suspend judgment on this book and wait for the third one in the trilogy? I’m not holding my breath. But…! The most interesting and readable parts of the novel are Leith’s descriptions of the ins and outs of cookery school, different foods and dishes, running a restaurant and designing menus. The book is titled, after all, The Prodigal Daughter: The Food of Love Trilogy: Book 2. Book 1 is called “Laura’s Story”. Leith depicts not only the events in the families’ lives, but much more strikingly, the changing culinary trends, from cuisine classique, to haute cuisine, to nouvelle cuisine in the 1970s. Leith comes into her own when describing, lovingly and in detail, the preparation, dishes and menus of each era – for instance the bistros of the 60s. It’s like a little cookbook within a novel, without the photos, but her words do quite well. So the critics have lauded her novel with praises like “delicious!” and “mouthwatering!”. Rosemary and garlic-marinated lamp chops. Recognize this? It was a favourite from wedding reception menus. Coupe “Caprice” (literally meaning “surprise dish”) is basically as starter of shrimp and melon in a pink sauce dressing, consisting of green peppers, red peppers, heavy cream, mayonnaise, melons, Tabasco sauce, tarragon, tomato ketchup and shrimp. The chef Robert Carrier included it in his 1963 book “Great Dishes of the World”, which included over 550 recipes from classic clam chowder to relatively modern langoustine soup with saffron bouillon. Pears in red wine with ice cream. That really does look like 1970s food. I can just remember eating out in those years with my parents, and seeing the plate with the carrot sticks tied together. My Year of Meats, by Ruth Ozeki – You might turn vegetarian after this one. All Over Creation, also by Ruth Ozeki – All about potatoes. Never knew potatoes could be so complicated. The Hitchhiker’s Guide to the Galaxy, by Douglas Adams – The Importance of A Good Cup Of Tea. A Year in the Merde, by Stephen Clarke – Also about The Importance of A Good Cup Of Tea, particularly in Paris – and how the French think about food and restaurants. The Hundred-Foot Journey, by Richard C. Morais – High recommended by Anthony Bourdain, which says something, and the film is also quite enjoyable.